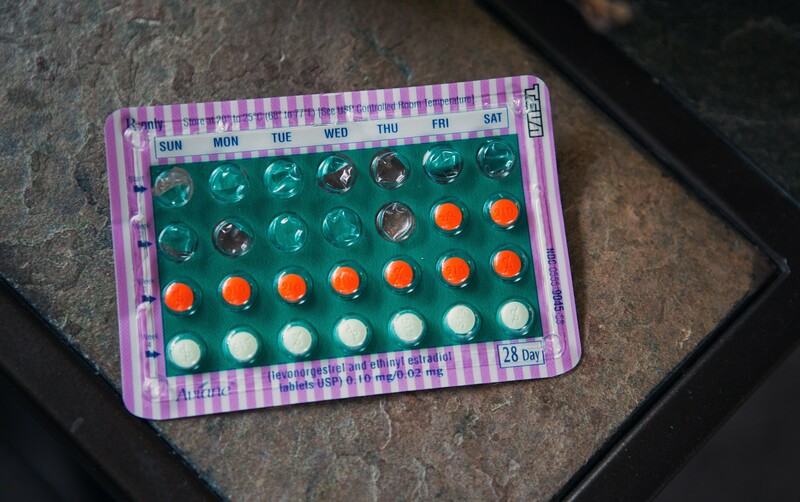 Birth control pills in a family's home in Bend, Ore., on Sept. 4, 2015. A federal judge on Sunday, Jan. 13, 2019, granted a request by more than a dozen states to temporarily block the Trump administration from putting into effect new rules that would make it easier for employers to deny women health insurance coverage for contraceptives. A federal judge Sunday granted a request by more than a dozen states to temporarily block the Trump administration from putting into effect new rules that would make it easier for employers to deny women health insurance coverage for contraceptives. Contraception is covered by the health care law as a preventive health service, something that employers and insurers are generally required to provide at no charge. But the Trump administration developed rules to allow employers to opt out of the mandate if they had religious or moral objections. A version of those rules was stymied by the courts in 2017, so the administration issued a new set of rules in November, which had been scheduled to take effect Monday. However, Judge Haywood S. Gilliam Jr. of the U.S. District Court in Oakland, California, granted a request by 13 states and the District of Columbia for a preliminary injunction, writing that the new rules “are nearly identical to” the ones that he had previously blocked. The plaintiffs, he wrote, had done enough to bolster their claim that the religious exemption and the moral exemption sought by the Trump administration were “not in accordance with” the health care law. After Gilliam blocked the initial rules, the Trump administration appealed. Last month the 9th Circuit U.S. Court of Appeals upheld the District Court’s ruling but limited the injunction’s scope. With that ruling in mind, Gilliam made clear that the preliminary injunction he granted Sunday bars enforcement in only the states that sued. “The court fully recognizes that limiting the scope of this injunction to the plaintiff states means that women in other states are at risk of losing access to cost-free contraceptives when the final rules take effect,” he wrote in Sunday’s order. Last month, the five states that opposed the initial rules — California, Delaware, Maryland, New York and Virginia — filed a second complaint over the revised rules and were joined by Connecticut, Hawaii, Illinois, Minnesota, North Carolina, Rhode Island, Vermont, Washington state and the District of Columbia. Because of the injunction Gilliam ordered Sunday, none of those states will need to comply with the Trump administration’s expanded exemptions until the case is resolved.